For large families in Tualatin, the minivan remains arguably the most practical, everyday option, and few models are able to rival the Chrysler Pacifica in this segment. At Wilsonville Jeep Ram, we have a number of used Chrysler Pacifica minivans for sale, including recent model years that feature rear-seat entertainment systems, heated seats, leather upholstery, and advanced Uconnect® touch screens with Bluetooth®, navigation, and smartphone app integration. Check out our used Chrysler Pacifica and new Chrysler Pacifica minivans today! 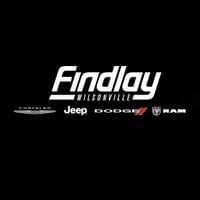 Get Your Next Family Vehicle Near Sherwood at Wilsonville Jeep Ram! In addition to the new and used Chrysler Pacifica, we also have a full lineup of new and used Jeep and Dodge SUVs for sale near Salem at Wilsonville Jeep Ram. We also have a number of other premium Chrysler models for sale. Families on a budget need not worry, because when you apply for financing, you’ll find access to flexible and adaptable monthly payment plans. When you’re ready, come by and see us for a test drive in Wilsonville, or call us at (503) 498-6637 with any questions.